We hear at Lorehound tend to have a tight focus on our coverage for the day-to-day. Everyone once in awhile you wanna break out of the mold and see something new. Something to expand the palette. Thus, by way of Poki, we’re abandoning the orcs and fantasy, zerg and sci-fi for something a little more realistic. Kinda. Wouldn’t it be fun to drive an exotic sports car on a 100m vertical loop? 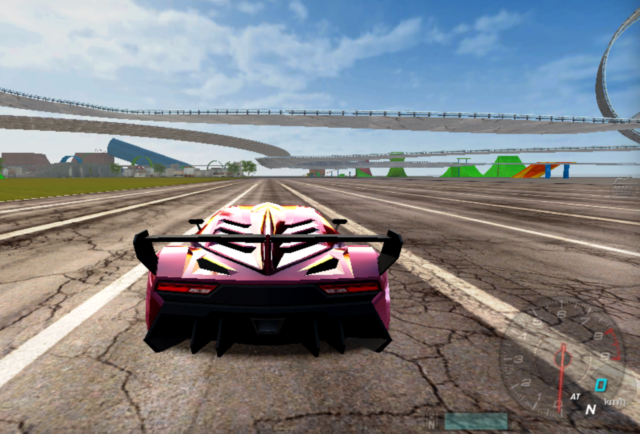 Madalin Stunt Cars 2 lets you do just that. There are out-of-this-world ramps and colossal obstacles on all three in-game maps. You can drive stunt vehicles by yourself, taking in the sights and having a worry-free ride. Or, enter a multiplayer room with nine other daring drivers. But, is the ride worth it? 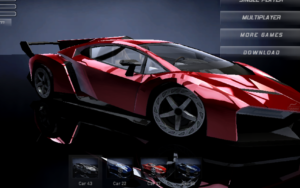 There are more than 30 vehicles in Madalin Stunt Cars 2. You won’t see any manufacturer logos or names, but make no mistake—these are the real deal. The game features street muscle, such as the Chevrolet Camaro, Ford Mustang, and Mazda MX-5. There’s also a plethora of higher-end vehicles from Dodge, Nissan, and Porsche. 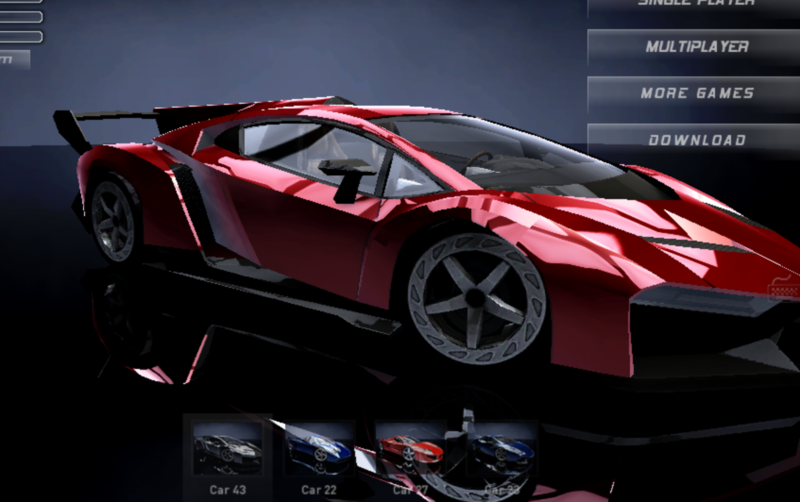 Every car looks super slick, as light reflections bounce beautifully off each 3D body. Plus, you can choose the color of your vehicle from a limitless palette. Red, green, and blue sliders allow any blend, from standard finishes to eye-catching neon hues. 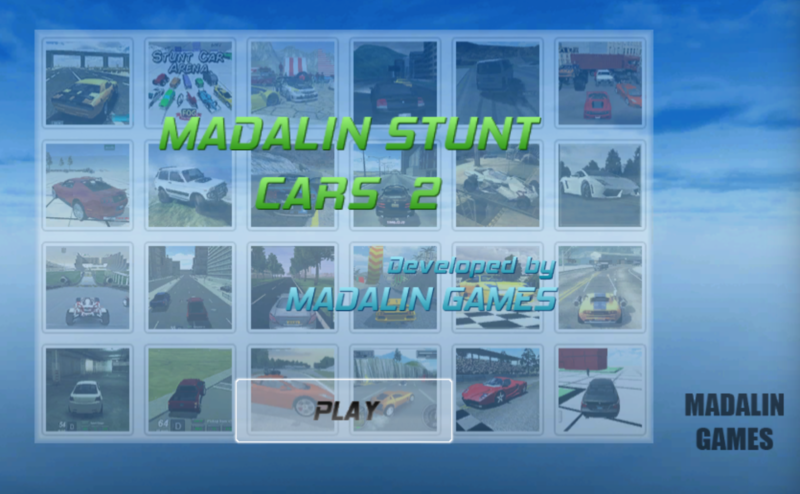 Madalin Stunt Cars 2 also includes a host of top-of-the-line vehicles. There are different models from Ferrari, Lamborghini, and McLaren. Those wicked paint colors and glimmering reflections look even more stunning on world-class exotic cars. Most of the included vehicles are modern, but there are a few 1990s throwbacks for fans of that era. Regardless of which vehicle you select, they all drive the same way—fast. There are three arenas in Madalin Stunt Cars 2. Each map is quite large, with different sections that are separated comfortably. The maps don’t look drastically different from each other, but there’s more than meets the eye. One map features a racetrack, which ends in a steep launch ramp. That map also features some unique obstacles that I’ve never seen before. How about a gigantic, floating cylinder in which you can drive up the walls? Or a ¾-pipe that sends your car through floating rings? The other two maps have their own surprises, which I’ll leave for you to discover. It’s important to realize that the terrain greatly affects each vehicle. High-powered vehicles can accelerate and gain traction easily on asphalt; grass and sand aren’t so friendly. If you’re aiming to drift, swerve, and glide for fun, then cruise off the road and onto the grass. Gravity in Madalin Stunt Cars 2 is also a bit loose, allowing vehicles to fly and flip rather easily. This fits well with the name of the game because gravity is the enemy of airborne stunts. Madalin Stunt Cars 2 available on Poki is a sandbox game. There is no scoring or ranking system. But, single-player and multiplayer mode both provide competitive fun. Attempting to conquer obstacles and race others is part of the game, whether you receive a final score or not. For a more immersive ride, sit in the driver’s seat, and peek in the rear-view mirror before shifting into top gear. 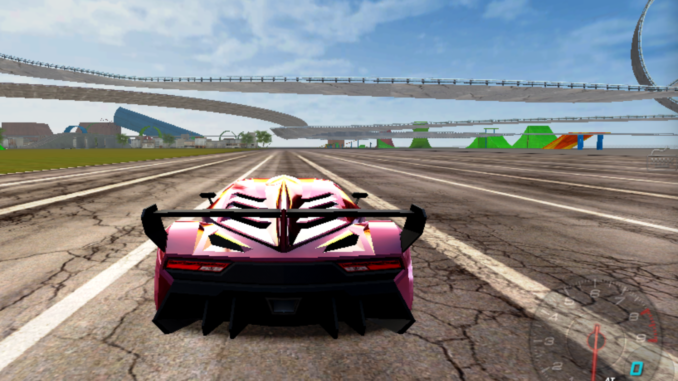 When you’re flying high, capture the moment from one of the many other glorious camera angles in Madalin Stunt Cars 2.